The theory developed below for Harvey Weinstein’s epic takedown is presented without hard evidence. This speculation is based on the fact that no one, who possesses so much perceived power, is ever publicly assassinated unless there is a specific reason(s). The most pressing mission for Deep State is the expeditious removal of President Trump. Toward that end, Hollywood stars have been conscripted to play their essential parts. Each of them has seen their brands irreparably destroyed as they trash Trump. The Motion Picture Industry has seen its “stock” decline like never before. Weinstein is a businessman at heart and does not want to see his company collapse. The numbers have not been looking good. Various events, as reported by the mainstream media appear to indicate that he was not going with the flow of the Purple Revolution. As a Hollywood enforcer (i.e. white-collar thug), Weinstein’s first job was to corral the actors, producers and directors into the pen of strict compliance. When he chose not to follow through as he has always done, he became immensely vulnerable given his sordid past. Hence, TPTB made a HUGE example of him. If any reader has further evidence that corroborates this explanation, please forward to: SOTNeditor1@gmail.com. Likewise, if there is a better theory out there, please email those as well. Thank you! The free-fall collapse of a person of Harvey Weinstein’s stature is a once-in-a-century event. No other senior Hollywood mogul in U.S. history has ever crashed and burned so quickly and with such finality. In light of this and other extraordinary aspects of this breathtaking flameout, there must be a very good reason for the takedown. And so there is. There are very few things that would get a guy like Harvey Weinstein in such big trouble*. When the shadow government decides to pull the plug on such a powerful agent of Deep State, they are desperate to accomplish something in particular. That something must be very important and vital to the achievement of the rapidly fragmenting New World Order agenda. Because on his own, there is really nothing Harvey W. could do that would bring about his complete and total demise. Unless, of course, he refused to terminate his anti-vaccine project with Robert DeNiro. Did De Niro’s Anti-Vaccine Documentary Project With Harvey Weinstein Hasten His Fall? 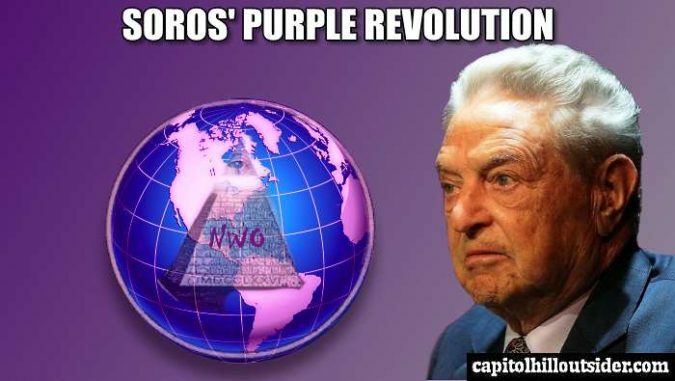 There is no greater or more immediate goal on the NWO agenda that the expeditious execution of the Purple Revolution (PR). With the utter disaster that occurred in Las Vegas, it’s certain that TPTB had to change the national conversation—-FAST! So, yes, the “Harvey Weinstein Reality Show” has done just that. However, that’s not nearly big enough to justify the elimination of Harvey. The critical point here is that the purple revolutionaries are starting to get weak. AntiFa has been labeled a domestic terrorist organization. Black Lives Matter has been AWOL since they were outed as a George Soros proxy group set up to trigger a race war that would lead to a civil war. 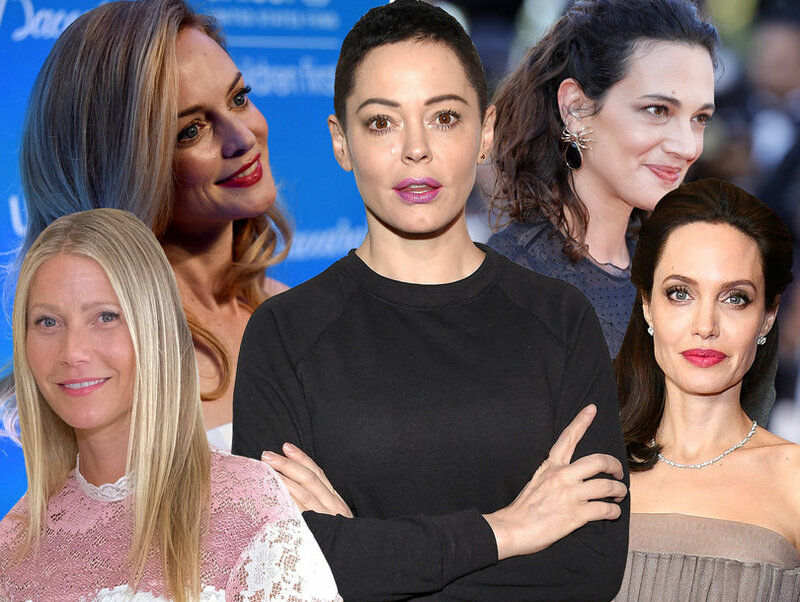 The many controlled [BOUGHT & PAID FOR] celebrities, who have acted on orders from Deep State to bash President Trump, have been faltering majorly of late. Each one of them has seen their own reputations tarnished in proportion to the unwarranted persecution of the POTUS. All of them have seen their star power diminished considerably. And they will never get it back. Even the NFL anthem conspiracy was a major failure for the globalists. The league officials and owners are now rudderless, as are the players who have lost the respect of their fans…never to get it back. Then there are those few C&W singers who unwisely called for gun control in the wake of the Las Vegas massacre who are also feeling the heat. Surely they regret such a gross error in judgment before hearing that the mass shooting was actually a government-run black operation subsequently covered up by the F.B.I. Harvey because he’s the biggest and the baddest of them all. but he’s the most notorious of the Hollywood power-brokers. far as “Bolshevik” revolutions go. No one of any serious stature will be permitted to leave the clandestine PR movement formed to overthrow the Trump administration. Hence, the PR leaders (political, corporate, financial, social, academic, etc.) will be expected to show up — on time — at their “assigned duty stations”. TPTB don’t care how many careers are wrecked and ruined in the process of fighting their hopeless insurrection; they want the mercenary celebrities to be on the set when the cameras are rolling. In this way the mainstream media can report the fake news necessary to incite the fake revolution—the Purple Revolution. It’s obvious that the timing of Weinstein’s takedown was strategically planned. Highly dramatic media events are always timed to distract, divert and misdirect from extremely serious stories (and fiascos) like the Vegas shooting. Clearly, Deep State botched everything about that psyop ~ false flag ~ black op, which then required an abrupt change in the public discourse. The C.I.A. has always had prepackaged events like this to pull off the shelf in their moment of need. There are other plausible explanations for Harvey’s swift “crash and burn”, but none of them rise to the necessary level of gravity. Hence, the preceding thesis is strongly proposed as it provides sufficient motive, possesses the urgency, and is making more sense by the day as the planned paranoia spreads like wildfire across Hollywood and beyond. What better way to scare the purple revolutionaries onto the battlefield? Unlike the Bolshevik Revolution of 1917, money and cause are not enough to compel cowards to put themselves at risk in 2017. They must face chilling threats of some kind to follow the likes of Soros and Zuckerberg, Obamas and Clintons, Biden and Podesta, Pelosi and Reid, Waters and Warren, Adam Schiff and Jerry Brown.